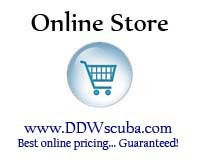 Great Weather and a Great Group of Divers Made the Event One to Remember! Special Thanks to North Light Marina! 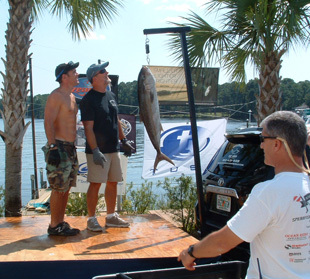 Amberjack Champion Dave Magee and his 41.6-lb (gutted) AJ. 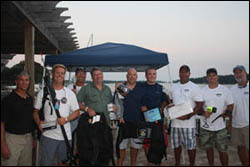 Dave won an RX-4 Ocean Rhino Speargun! 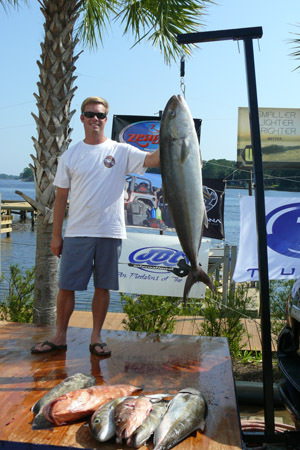 Amberjack Runner-up Micah Boyer and his 27.3 lb AJ. Micah won an Underwater Kinetics C4 eLED Dive Light. 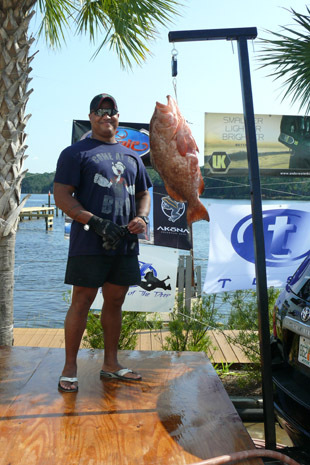 Grouper Champion John Velez and his 20.6-lb (gutted) Red Grouper. John Won an Aqualung Titan LX Regulator Set! 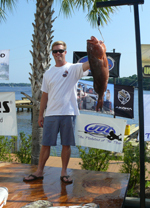 Grouper Runner-up Dave Magee and his 17.1 lb Red Grouper. Dave won a Sherwood Gemini Octo! Snapper Champion Dave Magee and his 5.0-lb Black Snapper. Dave Won a Zeagle Stiletto BCD! 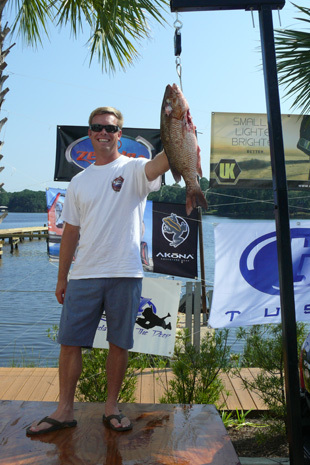 Snapper Runner-up John Garland and his 3.9-lb Black Snapper. John Won an Akona HD Roller Bag! 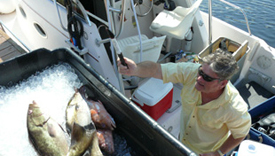 Free Dive Champion Joe D'Augustino found this 16.4-lb Gag Grouper at 60 feet. Dave Won a Mares Carbon 95 Speargun! 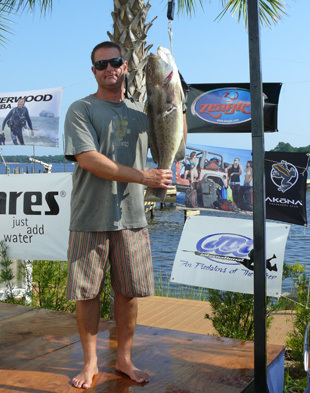 7th Special Forces Group Warfighter Champion (among 7 fellow snake-eaters) Micah Boyer and his 27.3-lb Amberjack. 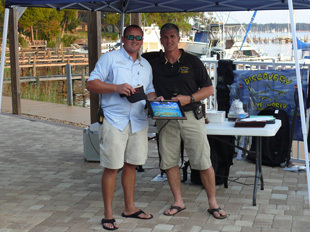 Micah Won a Sherwood SR1 Octo!